Acer Palmatum is native to Japan. 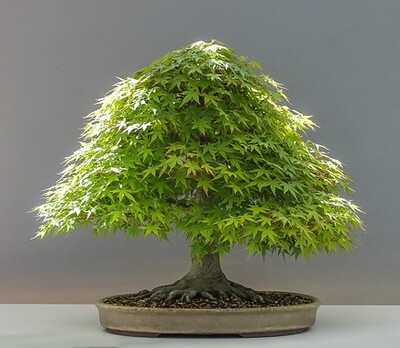 This is one of the most popular bonsai for initiates and beginners. The tree can reach 4 to 12 meters high. foliage will gradually change color. The branches are quite short and grow quickly. in spring are delicate small green leaves delimited by a thin red border; they have from 5 to 9 lobes. In summer, however, the leaves are pale green. Some Acer Palmatum have small red/mauve flowers.